It was a great distraction from the election to do something for an under-privileged neighboring community at risk for home fires. As part of the American Red Cross Smoke Alarm blitz, my dear friend and I distributed flyers and door tags to let people know that the AMRC will be coming around on Saturday to distribute free smoke alarms. What a good feeling to know that perhaps this small effort will have saved a life in the future. click here for more inspiration on how you can help. 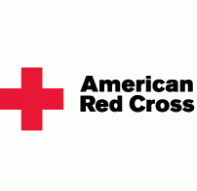 Each year, the Red Cross responds to nearly 66,000 disasters, the vast majority of which are home fires. Practice your 2-minute drill. Make sure your family can safely escape in 2 minutes. It's almost day-light savings time. 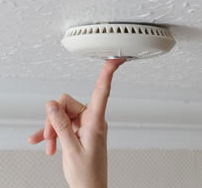 Check the batteries in your smoke alarms. Regardless of what one of the presidential candidates says, America is already great. Volunteer in your community -- if only an hour a month -- to contribute to making our country even greater.